I’ve been overindulging in chocolate, adding sugar to my tea and coffee, and sneaking an extra blob of maple syrup on my pancakes. When life presents difficulties, we all need a little something sweet, as my mama would say. .Sweets rank high on the list of comfort foods, and we’re needing some comfort these days. My mom has moved into a nursing home, and she doesn’t deliver much advice to me these days. After I visit her, I find myself reaching for a mini peanut butter cup, more than my normal ration. And we just spent Father’s Day weekend mostly at the hospital because of a health issue with my dad. Serious, but treatable, thank goodness. So I’ve been checking into the comfort food-cupboard lately. I think it’s safe to say we’ve all got a special comfort food. My theory is that most of these are on the white or pale side — why, I don’t know. Maybe they reflect mother’s milk, our very first comfort foods. Yes, I know, chocolate, however delightful, doesn’t fit that theory. But what about vanilla ice cream (OK, any ice cream), rice pudding, mashed potatoes, mac & cheese (mostly white), cream of mushroom soup, even buttered toast. Our childhood had two comfort foods. First honors go to the tiny Italian pasta called, appropriately and diminutively, “pastina.” Pastina is bitty star-shaped pasta that mammas cooked for their bambini as a kind of “first food,” so it has a longstanding pride of place. This was often served when we were sick or needed something mild to eat. 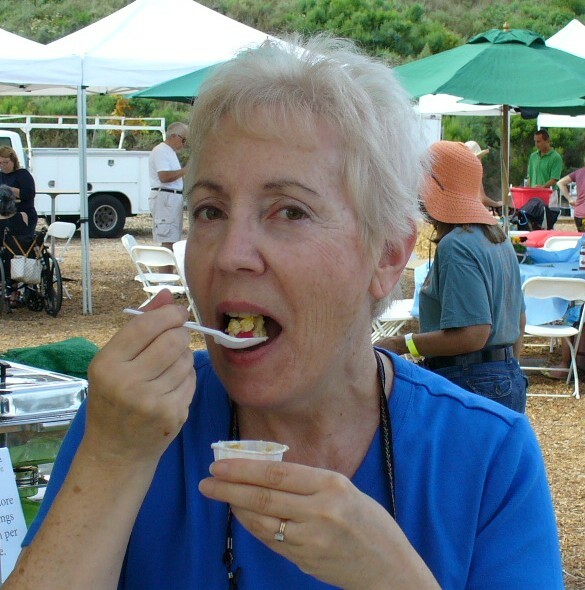 And my pal Grace, who recently had surgery, posted a photo of herself a few weeks later wearing a full neck brace, with a familiar dish set before her. “Pastina at last,” she wrote. Pastina doesn’t have to be little stars, which can be hard to find outside Ronzoni country. Orzo works, as do alphabet pastas, if you can find them. Goya also makes a little star-shaped pasta that is bigger than pastina but still small enough to qualify. With butter and Parmesan cheese, pastina is a mild, soothing and savory dish. It’s also featured in Italian soups as “pastina in brodo” (broth). Some folks top it with tomato sauce, which is fine, and I’ve lately been enjoying it with a dollop of pesto, too. But butter and Parmesan cheese are my first choices. 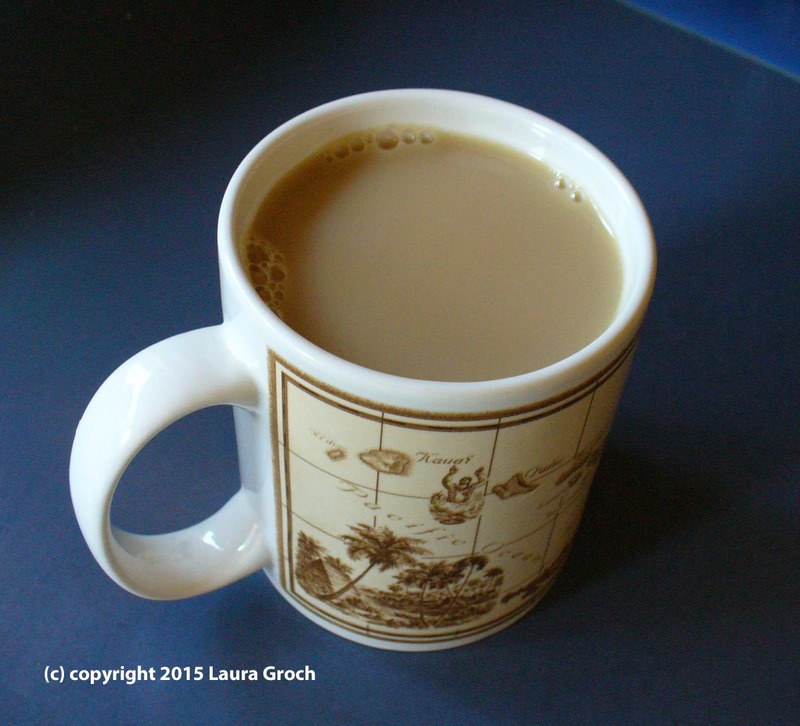 The other comfort food of our childhood, served whenever we were tearful about some injustice or slight or disaster, was called “sugar milk tea,” heavy on the sugar and milk (so it also fits my “pale food” theory). This was dispensed by my mother, who would pour cups for herself during the day from a small Corelle pot of brewed tea that was kept on the stovetop. The Corelle was ideal in those pre-microwave days because you could just fire up the burner under the pot to warm the tea, without having to pour it into a separate pot to warm or without having to boil water for a fresh cup. Tea was always there, ready for any childhood (or adult) calamity. It was warm, sweet and a solace. How I miss those days when problems could be eased with a cup of sweet tea. Guess what time it is? Oh yes, it’s San Diego County Fair time, starting Friday, June 5 and running through Sunday, July 5, at the Del Mar Fairgrounds. Before we go any farther, let me just say that the above-mentioned DFPBFP wasn’t as bad as it sounds. 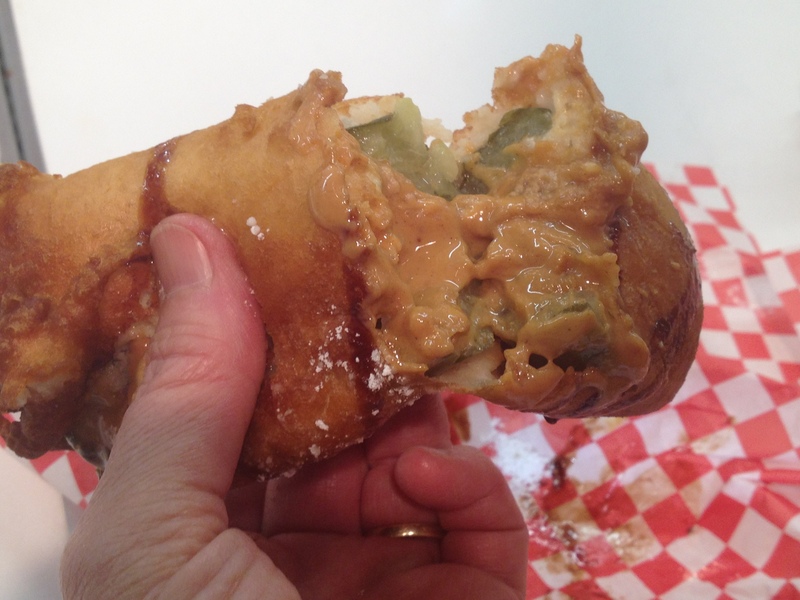 I could have done without the deep-fried part, really, but the actual peanut-butter-pickle combo was — kind of tasty.